Here's a sneak peak of what you can expect at Rug Racers Reloaded and Rug Racers 2015-2016. Our thanks to Dean Mohr of Ghost Media for making the video and Arjen Lucassen for his music. 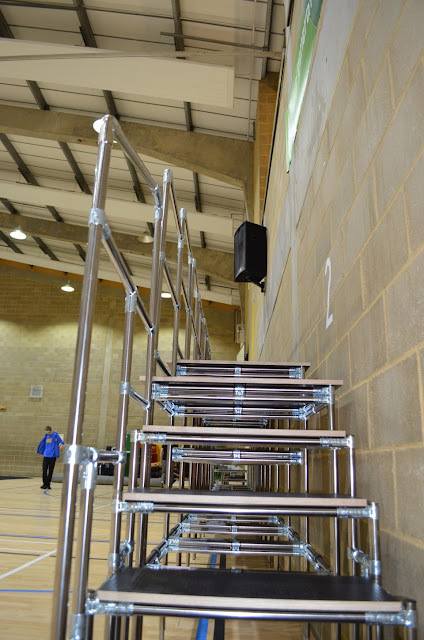 By popular demand Rug Racers have invested in a brand new rostrum. Standing at 1.3m tall the modular structure has comfortable room for 10 racers and has stairs and guard rails. 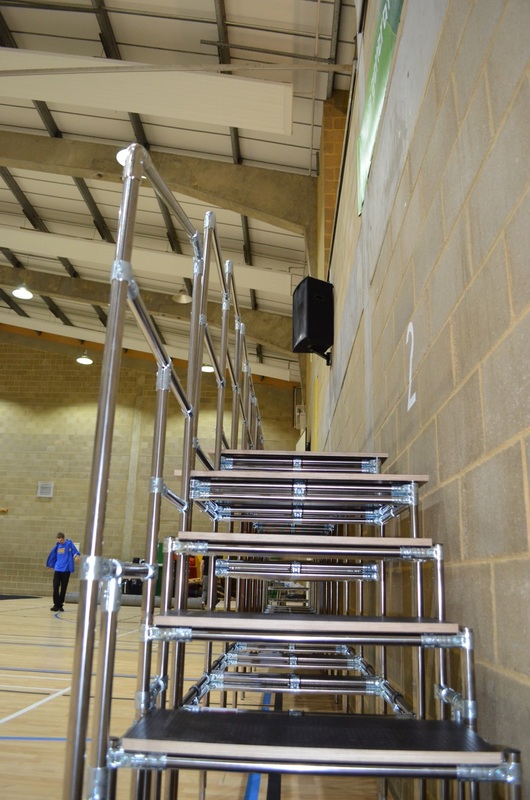 You can rest assured it's a safe and quality steel structure made in the UK and meeting British Standards. Racers will feel more connected to their cars than ever before and will be able to more easily see how their cars are behaving on track. The balcony which was previously used as the rostrum was often criticised for being too far away from the track and will not be used this year. This is the biggest investment ever made by Rug Racers and has taken considerable time and research to find the best solution. We really hope that everyone enjoys the view and we'd like to extend our thanks to Modular Stage Systems for their help in designing and supplying the new rostrum and AM Print & Signs for making the banner. 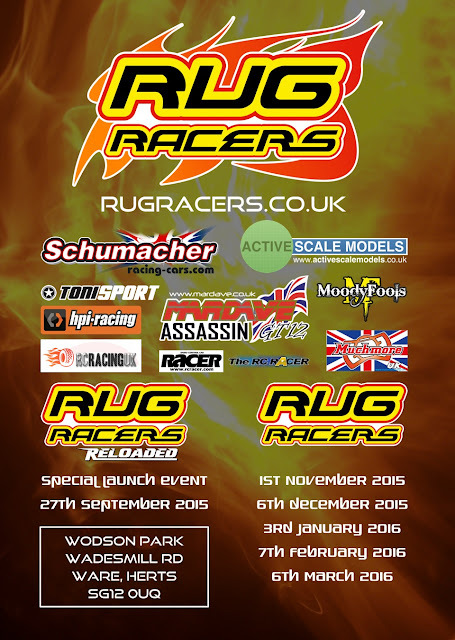 Rug Racers is very pleased to be the first UK event to feature the new black "ETS" carpet. This new racing surface has already proven to be a great success at the ETS this year and last. It has been tested at HRCC, the home of Rug Racers, and is now available to racers in the UK. 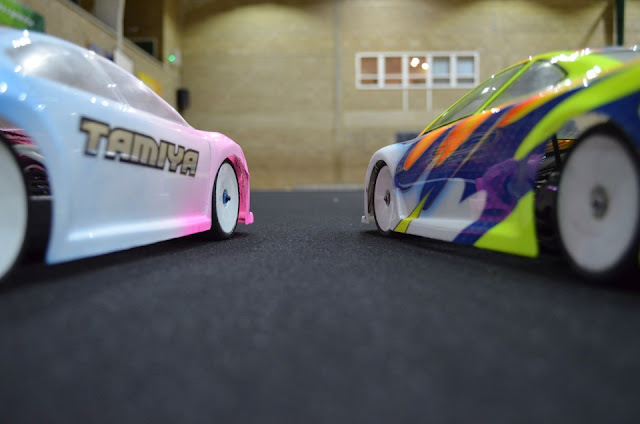 Despite the recent introduction of this new racing surface it is already being dubbed the future of indoor racing due it's characteristics. With excellent grip yet allowing cars to break traction smoothly and predictably it simply brings a smile to the racer's face as the result is greater control and higher cornering speeds. 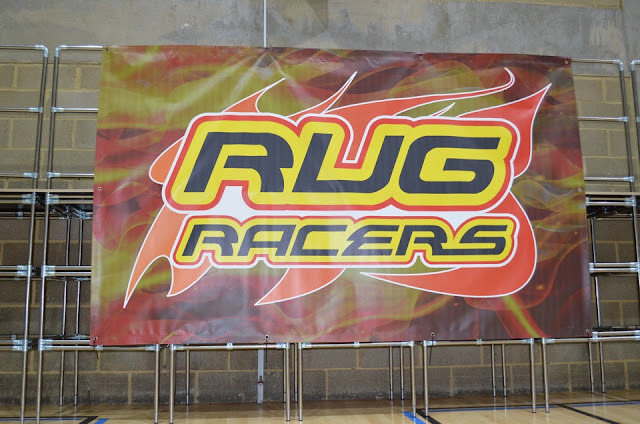 You can check out this new surface at our HRCC club nights every Friday 7-11pm at the same location as Rug Racers.